Central County Fire Department is dedicated to keeping our communities prepared and resilient by providing information that will allow them to serve not only themselves but their neighborhood and beyond. CCFD also offers several classes to help citizens become better trained and prepared to be self-reliant. These include the 20-hour Community Emergency Response Team (CERT) training, the three-hour Get Ready training, plus Basic First Aid and CPR training. This class is free and open to all Burlingame, Hillsborough and Millbrae residents! 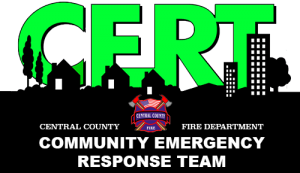 CERT (Community Emergency Response Team) training provides private citizens with the basic skills needed to respond to their community’s immediate needs in the aftermath of a disaster when emergency services are not immediately available. This free preparedness training with a nationwide standardized curriculum is recommended for all residents! 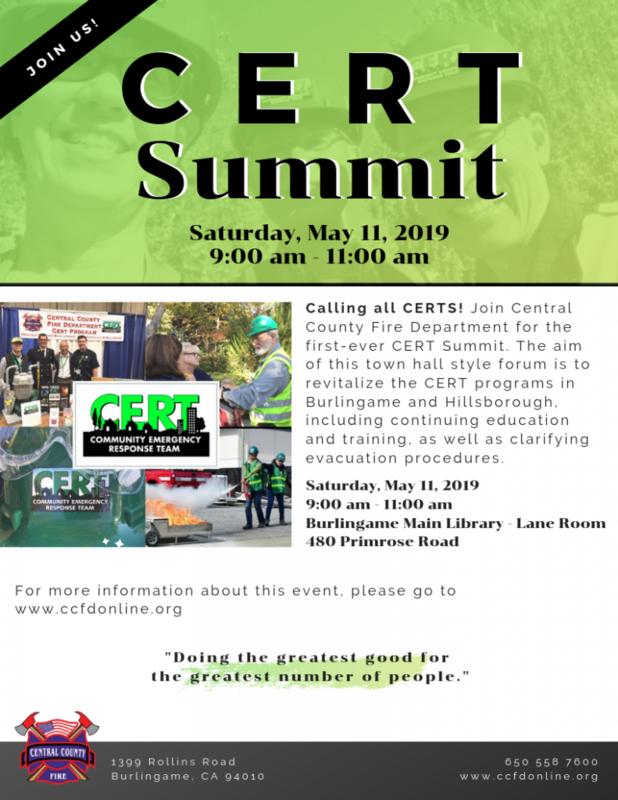 Join our CERT mailing list!